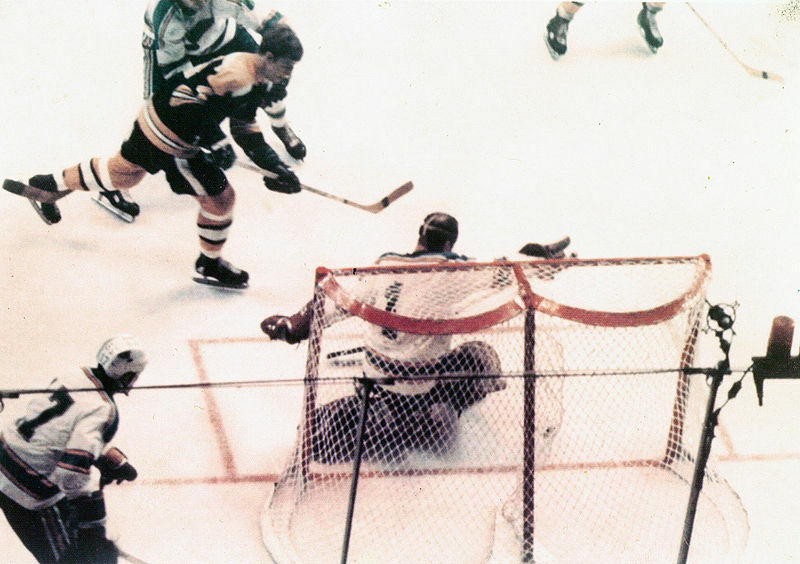 Once again, with emphasis: Bobby Orr. 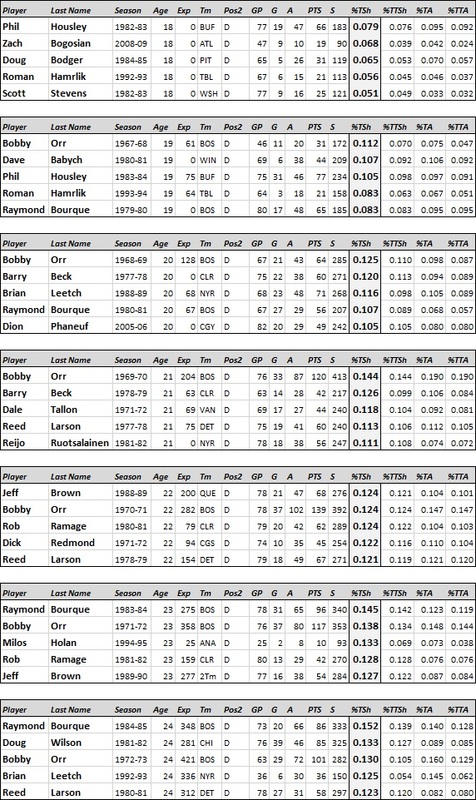 Metrics like %TSh and %TA can bring us closer to satisfactory comparisons of players in different eras, but they obviously have their limitations. What does it mean to contribute a lot to a poorer team? I’d argue it means a lot, if the end game is that you produce shots and set people up at very high rates. 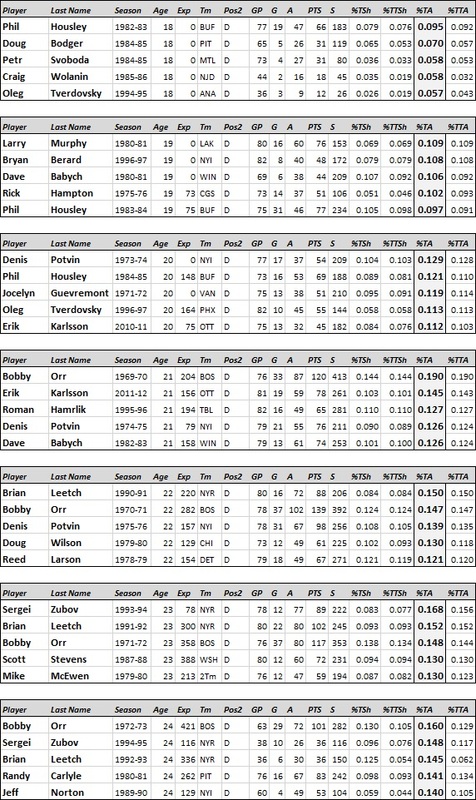 One last point worth making; we see a good number of today’s stars dispersed among these lists, but let’s put this in perspective: today’s game is much more difficult to play than those of the past. 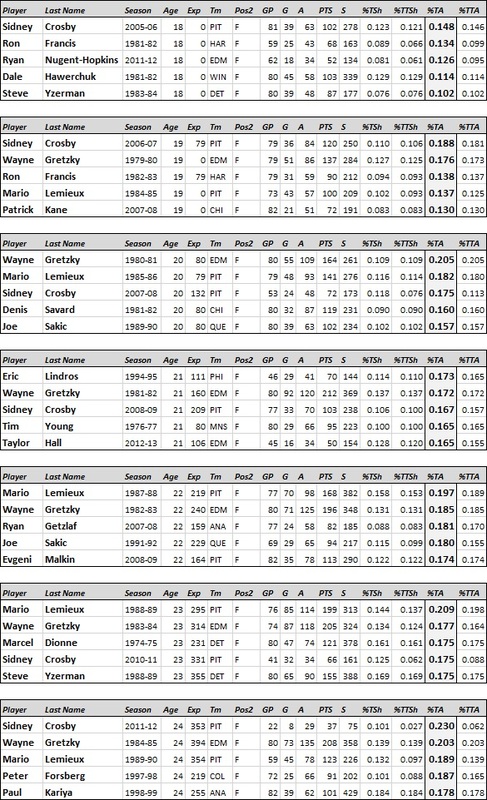 Crosby and Ovechkin would have seemed supernatural in the 1980s NHL…well, I mean, beyond their normal supernatural tendencies. That being said, this is just one of many interesting exercises we can do with these historical metrics. 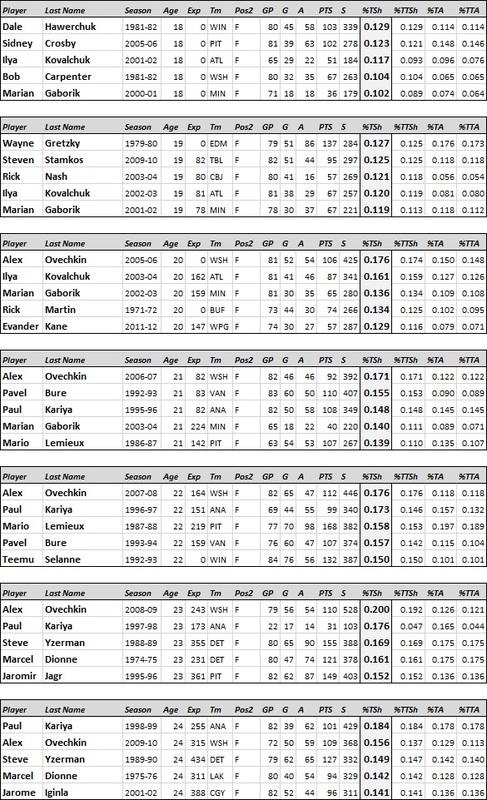 Feel free to use the comments to inquire about other players’ %TSh and %TAs in NHL history. The “Exp” on a couple of the guys is a little wonky; I caught a tick in the formula I was using for that after the fact. Without checking too close, I know Kariya’s is off. Fixed in my dataset now.